Autumn Fair is the season's No.1 gift and home wholesale trade show for the retail industry. Launched in September 1990, Autumn Fair is now celebrated as the season’s number one wholesale gift and home trade show and is a must-attend event for UK and international buyers. Independents, multiples and online retailers visit Autumn Fair to look for the most brilliant new products and innovations ahead of Christmas, Valentine’s Day, Easter, Mother’s Day and Spring. The British Craft Trade Fair (BCTF) is an annual three-day event that takes place in beautiful Harrogate. The fair is strictly trade-only and showcases work from exclusively British and Irish makers. BCTF differs from other trade fairs in that no mass-manufactured products or products made overseas are allowed. Visitors can be confident, therefore, that they will be presented with a selection of the best hand-made British giftware available from more than 500 talented makers. COLLECT: The International Art Fair for Contemporary Objects, presented by the Crafts Council. 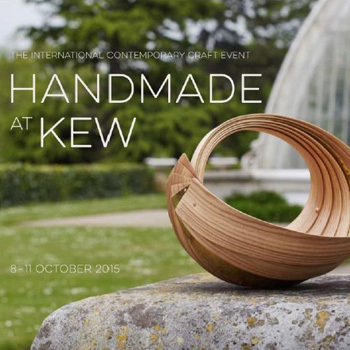 COLLECT is one of the world’s leading fairs exclusively selling craft and was founded in 2004. Desire has become firmly established as the “must visit” event for its stunning collection and unrivalled choice of contemporary jewellery and stylish silverware. The fairs present highly talented exhibitors who have been selected for their superb and innovative craftsmanship and have a genuine passion for the work they create. Goldsmiths’ Fair, organised by The Goldsmiths’ Company, is recognised internationally as the premier showcase in the UK for contemporary designer jewellery and silver. It’s a celebration of the best of British goldsmithing and silversmithing talent and a treasure trove of creativity, design innovation and superb craftsmanship. Over two weeks, this unique public event draws collectors, design lovers and luxury shoppers to the magnificent Goldsmiths’ Hall to browse the latest collections of the most exciting contemporary design talent in Britain. Visitors can buy directly from the maker or commission personal one-off pieces to their own specification. 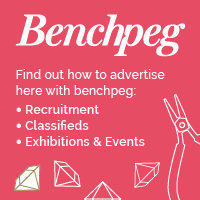 This four-day international contemporary craft event offers visitors the opportunity to meet and buy from over 200 extraordinary designer-makers working across all disciplines including: ceramics, jewellery, fashion and textiles, glass, paper, furniture, metalwork, sculpture and interior accessories. International Jewellery London is the UK’s leading trade event for the international jewellery industry. 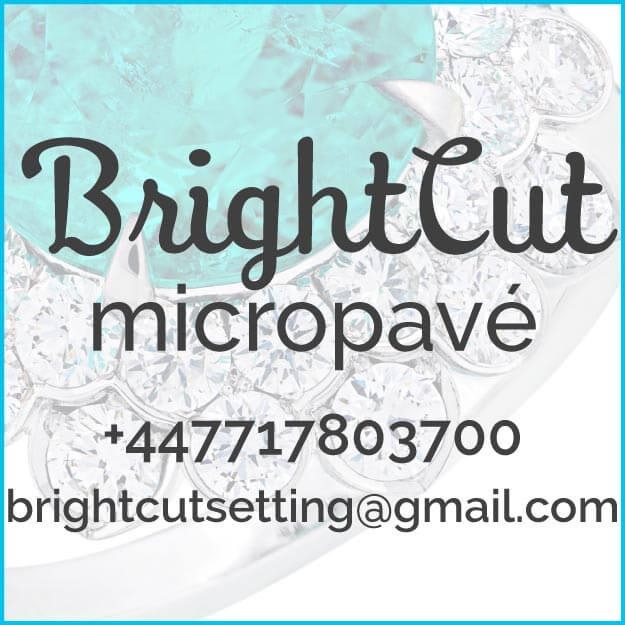 The event showcases the latest product ranges from over 550 high end, finished jewellery manufacturers, designers, loose gemstones, and retail services suppliers and attracts an unparalleled range of jewellery focussed and pre-qualified buyers from 64 countries. 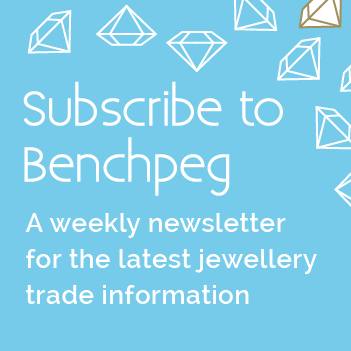 Taking place in February, a key buying month, Jewellery & Watch Birmingham is perfectly timed to attract over 22,000 powerful decision-making buyers who come to find inspiration, innovation and to stock up for the forthcoming seasons. As the only dedicated jewellery and watch event which is linked to a major gift fair, the show provides a unique cross-over buying opportunity from 13 other show sections including Gift and Fashion Jewellery & Accessories. MADE BRIGHTON – The Design and Craft Fair is organised by Tutton & Young Ltd, the team that has run the highly successful Brighton Art Fair since 2004 and MADE LONDON – Marylebone since 2013. New Designers presents an unmissable opportunity to buy new products for your store or home, get inspired by fresh ideas and discover new design talent to commission or recruit. Every year over 3,000 of the most promising graduate talents from Britain’s leading design courses exhibit. It provokes fresh thinking and kick-starts careers, providing a pipeline of young talent into the UK’s fastest growing creative industry*. Nowhere else is it possible to see such innovation and creativity across all disciplines, and the content is completely new every year. Selvedge is a magazine that acknowledges the significance of textiles as a part of everyone’s story. Nurturing and promoting the designers and makers who inspire us is crucial to the Selvedge ethos – they are as much a part of our story as we are theirs – without them Selvedge would not exist. The Selvedge Fairs are not only for the designers and makers behind the things we love, they are for the Selvedge readers and community. A literal meeting point for conversation, appreciation and of course the joys of acquiring your very own collection of beautifully made wares. Spring Fair is where people and products meet. The UK’s definitive destination for the home and gift industry to come together and do business, amongst the most achingly wantable new products out there. And we’ve been helping the industry do just that since we opened our doors over 39 years ago. You don’t thrive for that long without being able to align inspirational products with thousands of buyers each year. Since 1984, Top Drawer has been synonymous with top quality products and innovative design. We introduced Home in 2012; Craft in 2014 and by expanding into fashion accessories and the greetings sector too, cemented the show’s unique position as the UK’s leading international design-led event for creative retailers and brands. This is the business-to-business show for the additive manufacturing / 3D printing industry - with more products, more launches and more live demonstrations! BIJORHCA PARIS is the only international trade fair dedicated exclusively to jewelery, to watches, the Industries and Supplies in France. Twice a year it brings together industry professionals to uncover trends, the talents of tomorrow and the latest collections. International Fashion Jewellery and Accessories Trade Fair . Bisutex is the most comprehensive sales, promotion and marketing tool for the consumer goods and home furnishings industry, given that all kinds of trade and marketing measures can be combined based on the best cost-effectiveness ratio when it comes to reaching your customers and clients in the most rapid and direct manner. The Show is the best opportunity to meet your customers and suppliers and generate new business opportunities in a relaxed, international atmosphere. Inhorgenta Munich provides a unique combination of individuality, inspiration, and innovation. Our new strapline uses three magic words to highlight how we are shaping the future for the sake of your success. Together with our exhibitors, visitors, and experts, we are developing future-proof solutions for dealing with the challenges of today and tomorrow. In this way we are strengthening your market position and giving you more of an edge over the competition—profitably and for the long term. JCK Las Vegas is the leading jewelry event in North America open to all jewelry professionals, offering exclusive buying, networking, and educational opportunities you won’t find anywhere else. Each year, the industry gathers where the latest awe-inspiring domestic and international designers and most sought after trends are showcased in a secure environment. JCK Las Vegas is the industry event that combines a plethora of networking events and complimentary education sessions with the industry's broadest selection of finished jewelry, gems, and timepieces. International Urban and Trendy Jewellery and Watch Exhibition Fair. Munich Jewellery Week is an initiative to help promotion of the ever-increasing number of satellite exhibitions that take place in Munich, Germany. The MJW runs concurrent with the annual Handwerk & Design expo, that hosts key exhibitions like Schmuck and Talente. This yearly happening in Munich is by far the most significant event on contemporary jewellery’s calendar. Being a participant puts you at the forefront of the Contemporary Jewellery scene. Munich Jewellery Week is open to all artists, designers, studios, companies, galleries and institutions who would like to organize an event to the public. This event could be an exhibition, an open studio, a tour, a talk, a workshop, a film screening or a networking event. The Schmuck-Show gives an overview of the many jewellery exhibitions during the SCHMUCK-Days in Munich. The live presentation by actors from Munich's Kammerspiele and the choir vox nova, shows the interaction between jewellery, wearer and beholder. An exciting evening for artists, curators, collectors and everyone simply interested in jewellery! In addition to the SCHMUCK-Show, we also offer the corresponding SCHMUCK-Finder. Thanks to a city map, this free catalogue offers an excellent orientation throughout the city with images of the presented jewellery, the artists' names and exhibition locations! COUTURE is the global authority of designer fine jewelry and luxury timepieces. COUTURE Las Vegas, held annually at the luxurious Wynn Resort, is the most exclusive and intimate destination for the luxury jewelry and timepiece market. Catering to an elite community of renowned heritage brands, emerging design talent, the finest retailers and award-winning media from around the globe, COUTURE is the premier event where the jewelry industry gathers to connect, collaborate and conduct business. For centuries, the city of Vicenza and its surroundings have been synonymous with excellence in gold and jewellery. Vicenza today is an unrivalled international hub for the sector, hosting events and offering a multitude of services that cater for every aspect of the jewellery business. Underpinned by technical expertise and a sense of artistry that spans generations of passionate artisans. As a worldwide planner and event organizer, Fiera di Vicenza continues to help jewellery operators prosper from the shifting gravity of international markets. New alliances have been made with leading jewellery trade partners in Asia, the Middle East and the Americas. VICENZAORO rejuvenates the collective potential of the 'Made in Italy' strategy and the spirit of European savoir-faire. Vendôme Luxury is the premium fashion tradeshow for luxury and high-end women's collections during Paris Fashion Week since 2003. If you would like your show or event listed here, please email us.